World Cup mania continues into its third wee and one of the hot drinking spots is Magdalena’s Party. 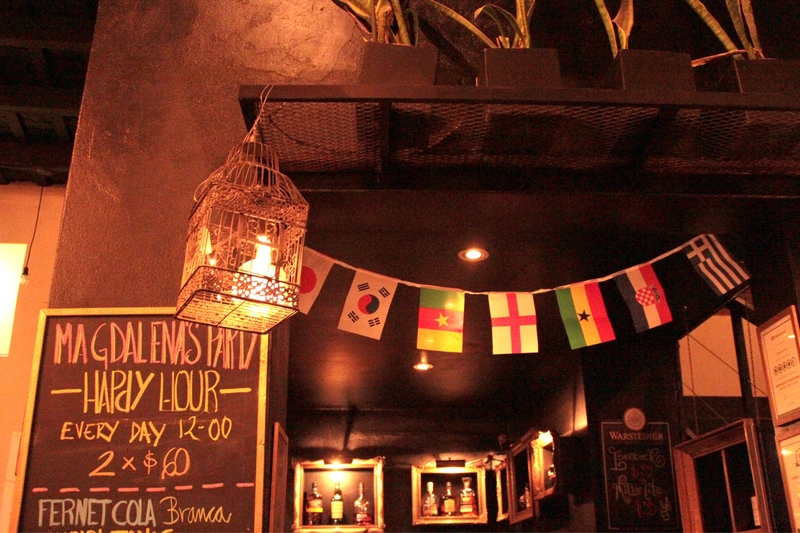 With two giant screens and a whole heap of food and drink promos as well as a great international crowd, head to this expat haunt for all your Mundial needs – expect a big turnout for Tuesday’s Argentina game. Thames 1795, Palermo Soho. The question is, Argentina or Switzerland? And there’s only one answer of course: AR-GEN-TINA! 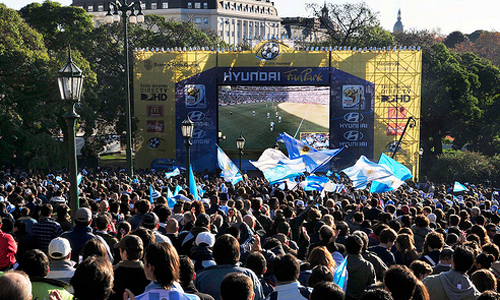 For big-screen action and bigger crowd action, get down to Plaza San Martín or Parque Centenario in your light blue-and-white finery and pray it doesn’t get to penalty shootouts (again.) 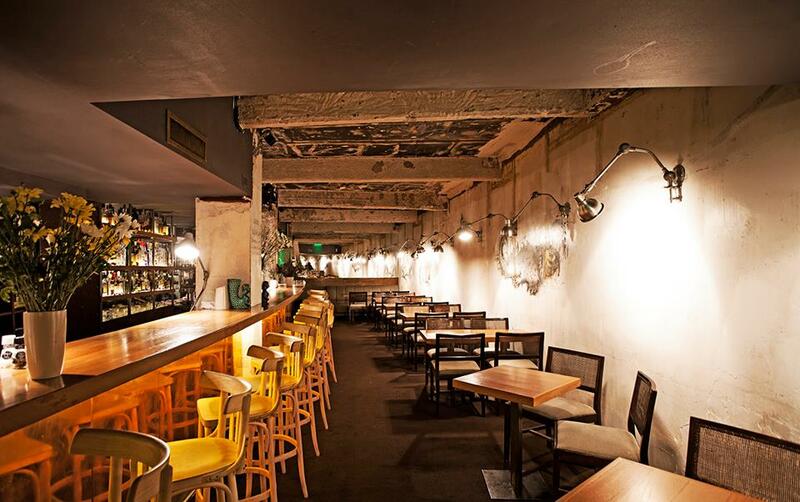 Also check out this guide of where to eat and drink the world cup games in Buenos Aires. Argentina’s favourite cartoonist, Joaquín Lavado AKA Quino who created the effervescent Mafalda, bounces back in a brand-new exhibition. 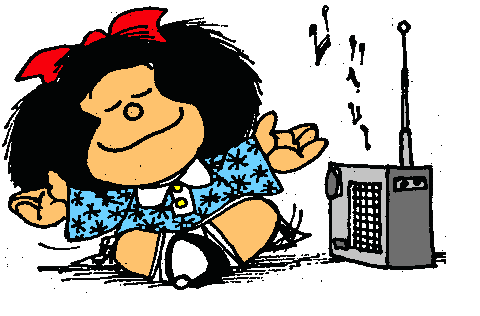 Quino por Mafalda is taking over the MuHu (Museo del Humor) Munich Factory in Puerto Madero until October 31. Edificio de la Munich, Av. de los Italianos 851, Costanera Sur, Mon-Fri 11-6pm weekends, 10-8pm.10 pesos. Ditch Palermo (for one night only) and head south to Retiro to one of the hippest bars in town. Part wine store, part florist and a whole lot of bar, Florería Atlántico was voted the best watering-hole in South America in 2013. What are you waiting for? We love the frogs’ legs and their grilled steak. Arroyo 872, Retiro. Tel: 4313-6093. 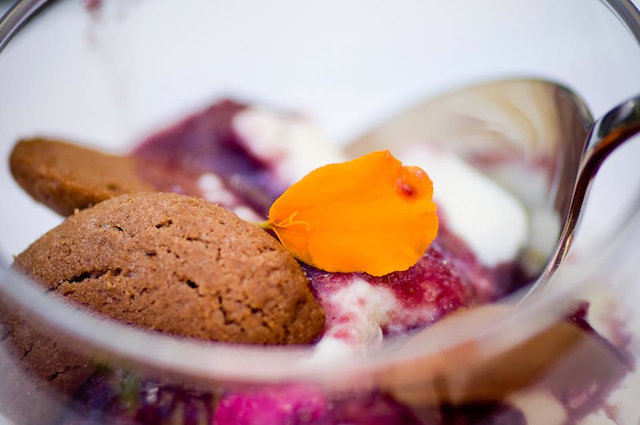 Spice up your life with an early dinner, as recommended by our guest blogger Florencia. She says: “You can never go wrong with Korean BBQ. Belen Jung’s Bab offers enough meat to make any Argie feel at home even though it’s located in the heart of the Barrio Coreano. Pork belly (samgyeopsal), skirt steak (anchangsal), marinated beef (bulgogi) and other cuts can be picked from the menu and you get to grill it yourself. In Argentina, the parrilla is usually far from the table and the asador misses all the fun. So it’s quite smart and convenient to have the parrilla set, literally, right on the table. The menu includes loads of veggie banchan (side dishes), kimchi, rice and soup. Best time to go? 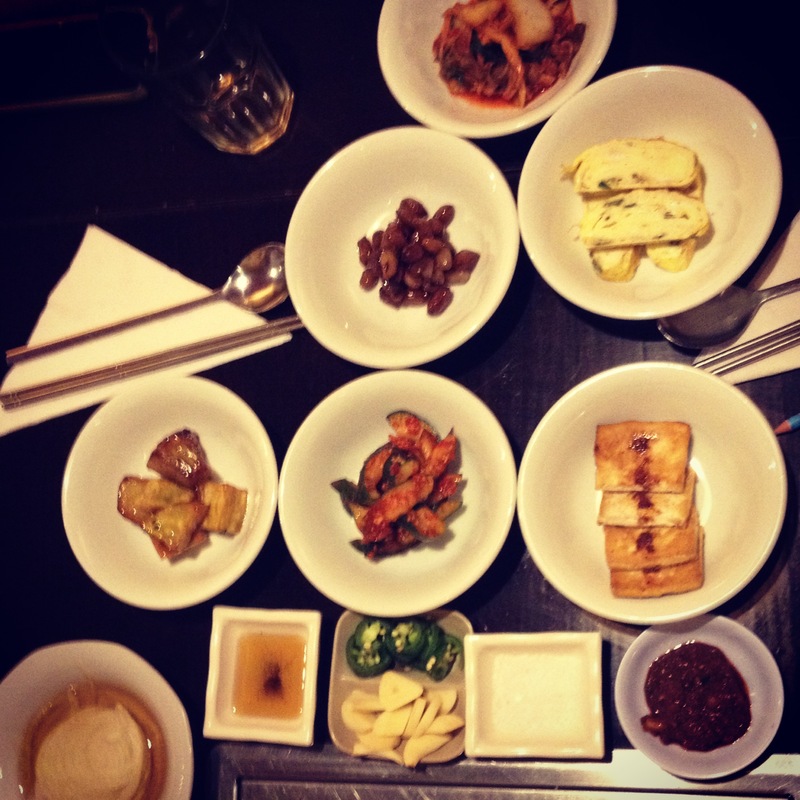 Korean dinner time, around 6.30/7pm.” Moron 3155, Flores. This entry was posted in Uncategorized and tagged Bab Korean restaurant, brunch Buenos Aires, Floreria Atlantico, Mafalda exhibition, Quino por Mafalda by Fierro Hotel Staff. Bookmark the permalink.